This reflex sight from Nikko Stirling is made to exact specifications in Japan to offer superior optics at an affordable price point. The unit is waterproof and shockproof and being of the reflex design offers parallax free images meaning that they can be used on pistols, rifles, and shotguns. The 1x magnification is ideal for closer range situations, especially fast paced ones that require rapid target acquisition. The light intensity is controlled via push buttons through 10 light levels for your preference, and the unit automatically shuts off after 3 hours to help save battery power. 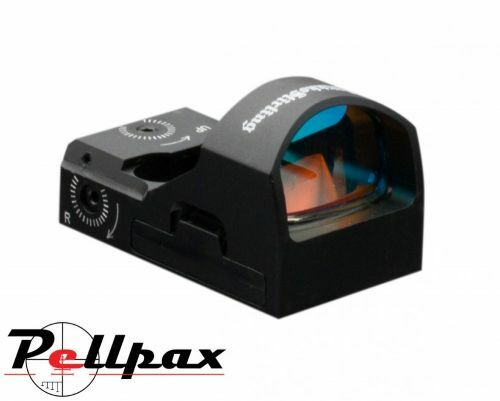 The optics are multi coated to optimize light transmission and image quality at all time, and the reticle is a 4 MOA red dot for a clear target centre.